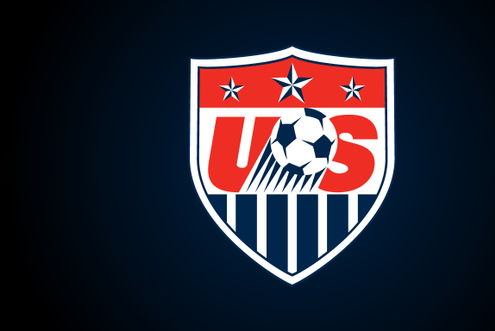 With the recent introduction of new, veteran European leadership at Soccer House, US Soccer has embarked on and even bolder and targeted campaign to improve youth soccer coaching at the grassroots level, to ensure that the formula pays off. The systematic restructuring of the license pathway is first and foremost. The new European approach worked out the changes from the top to the bottom. For the first time ever, at the pinnacle of the coaching education pyramid there will be a Pro License. Underneath the Pro, there will be two A License pathways, one geared to prepare coaches to work at the senior level and the other to prepare them to work at the elite youth level. The B license has now become the top youth license and the standard which all US development academy coaches must possess. The C remains the gateway to the national licenses. These changes in content and outcome have also included additional course content and work that reach beyond the training ground and extend to leadership, player and team management, and development of a performance environment. Once the outcomes at the top of the pyramid were defined, the Coaching Education Staff embarked on a second phase of restructuring at the base of the pyramid. That final phase will now connect the F, E, and D (grassroots licenses) to the national C, B, and A. The restructuring of the lower licenses, dealing with players U6-U12 will be one of the most dramatic changes made yet to how we develop young players to prepare for the adult game (11 v 11). With last year’s launching of the Small Sided Initiatives (platforms for 4 v 4, 7 v 7, 9 v 9 to be age appropriate), there was a need to retool the F, E, and D to also become more age appropriate and better prepare coaches to teach the game to match the needs of the new small sided game standards. In addition to grafting small-sided games concepts into the new course curricula, US Soccer have also opened up the licensing pathway to ‘lateral entry,’ meaning that if you are a working U12 coach, there is no need for you to begin your licensing pathway at the bottom (U6), but rather seek the education and the licensing for the age which is appropriate to you. This specific tailoring of licensing courses to match coaching levels, will now ensure that candidates working with our youngest and most precious player resources, will be able to train and learn in a more focused environment that centers around the needs of the players they are actually working with and better achieve the desired outcomes for those ages. By 2017, the transformed licensing pathway will be complete and have its first generation of graduates applying their knowledge at the grassroots and elite youth levels. It will be very interesting to begin tracking the youngest categories of our players (U6-U12) to see how the new methodology boosts their knowledge of the game and their technical ability. It will also be quite interesting to see if five years down the line, we begin to truly create a new and distinct ‘profile’ of American player, perhaps one made in the image of Christian Pulisic; a sound technician with superb decision making ability. As with many of the great ‘movements’ to impact a national style, it will take time, patience, adaptability, and faith in the philosophy to reap the benefits of change. As a part of the staff who helped shape the new curriculum, I am hopeful that the changes will bring great results. As an active club Director and coach, I am now accountable for their implementation and challenged every day to translate them onto the training grounds. Time will tell, but I think we have made some positive choices to achieve generational change. Better coaching is on its way, next we will have to tackle the problem of the environment.